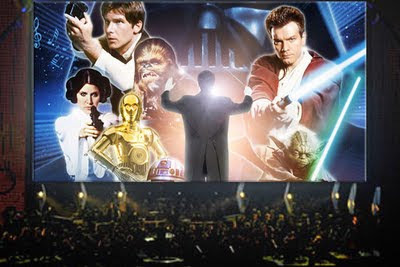 NT/History Blog: Star Wars on the Jerry-Tron! Tonight we're going to Darth Vader's house. You know, the new Death Star? UPDATE: Han & Leia on the world's biggest teevee.